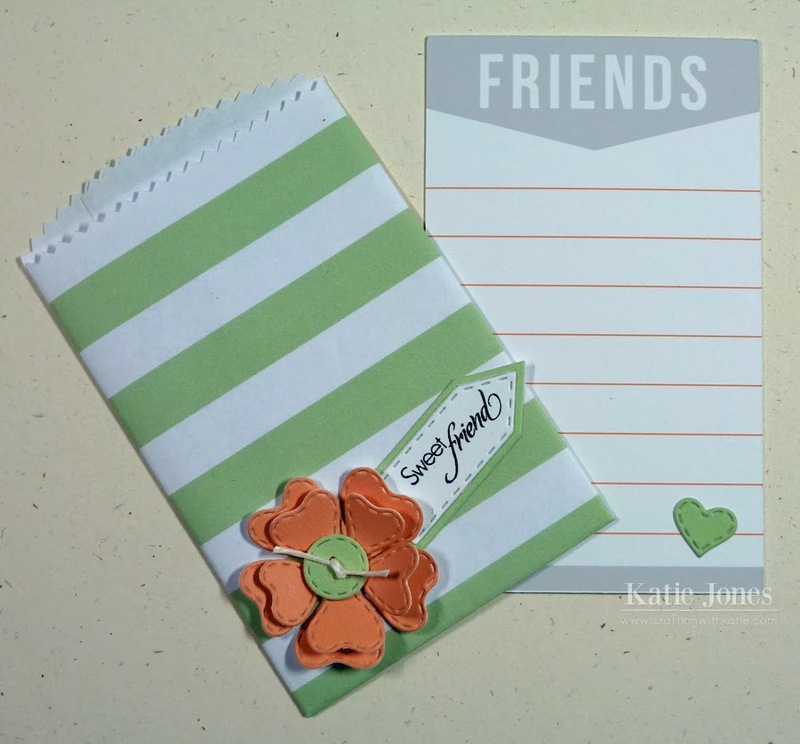 crafting with katie: More Fun from Kerri Bradford! Here's another fun project I made in Kerri Bradford's Hello There class. I really got to know how to use Silhouette Studio's "print and cut" feature with this one, and i just love the cute little envelope we created! Since I made it out of regular printer paper, I tried out a Cricut Light Grip cutting mat, and it worked really well! I dressed up both the card and the envelope with some My Creative Time dies. 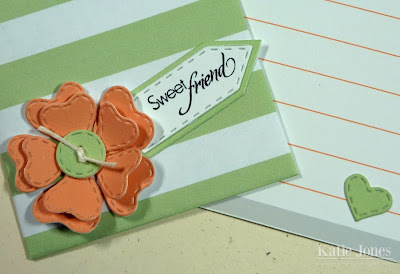 That cute little heart on the card is from the Stitched Heart Layering Dies. The flower was made with the Flower Petal Dies and a sweet little button from the Stitched Button Dies. I made the tag with the Teeny Tag Greetings stamp and dies. This Kerri Bradford class is half way over, but don't forget that you can take it anytime. I highly recommend it! Oh Katie ~ I LOVE when you take classes I learn so much! This envie is too FABULOUS and LOVE the little details! The little note card is too CUTE too! What a great way to send a friend a little message! Happy Monday sweet friend! Love the bag! What a great idea for print and cut! What a fun time this class is. I will consider this one after I finish other classes of hers...she is good. Your card and envelope are beautiful.